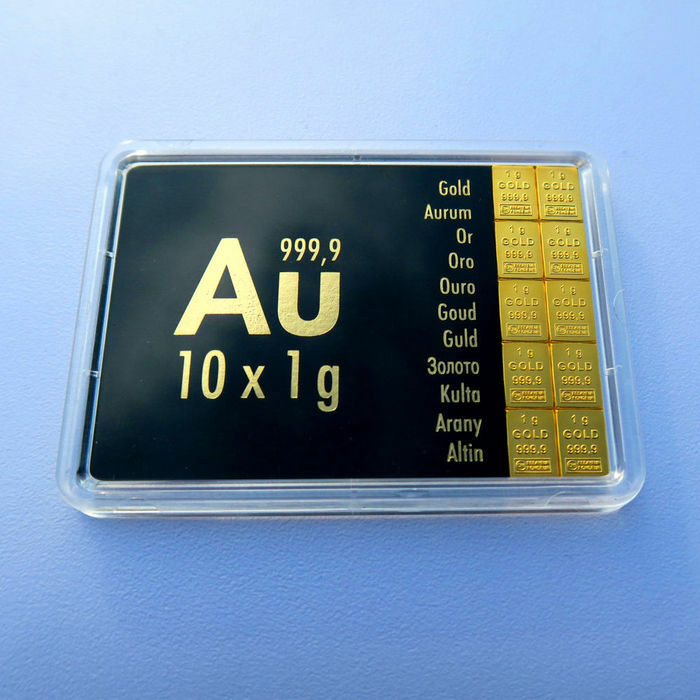 Gold plate - CombiBar 10 x 1 g - 999.9 pure gold. 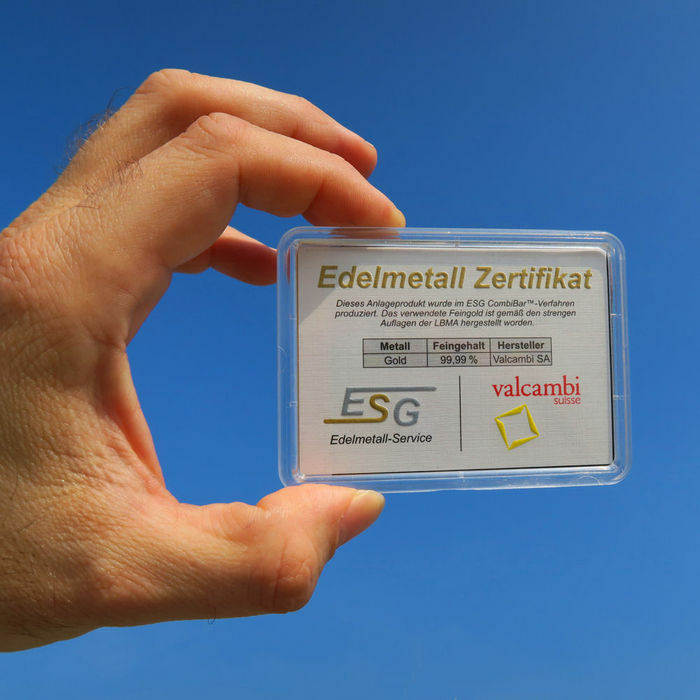 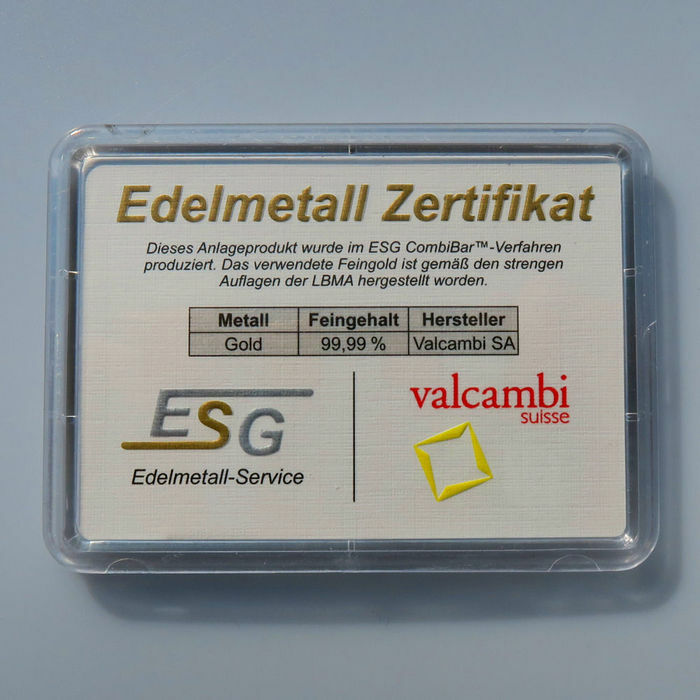 This gold bullion product consists of a CombiBar series of 10 x 1 gram fine gold LBMA bullion from the certified Swiss company, Valcambi SA. 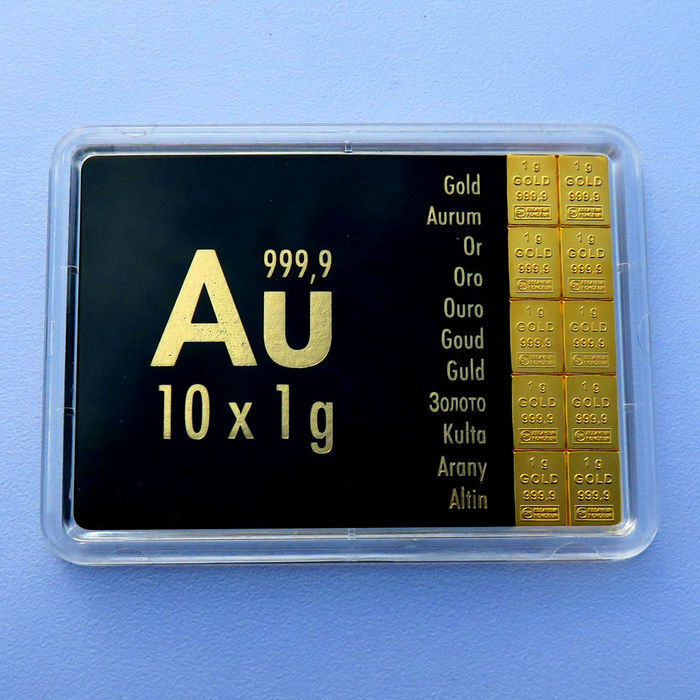 The individual 1 g - mini silver bars are connected with breaking points, and can be separated from each other by bending. 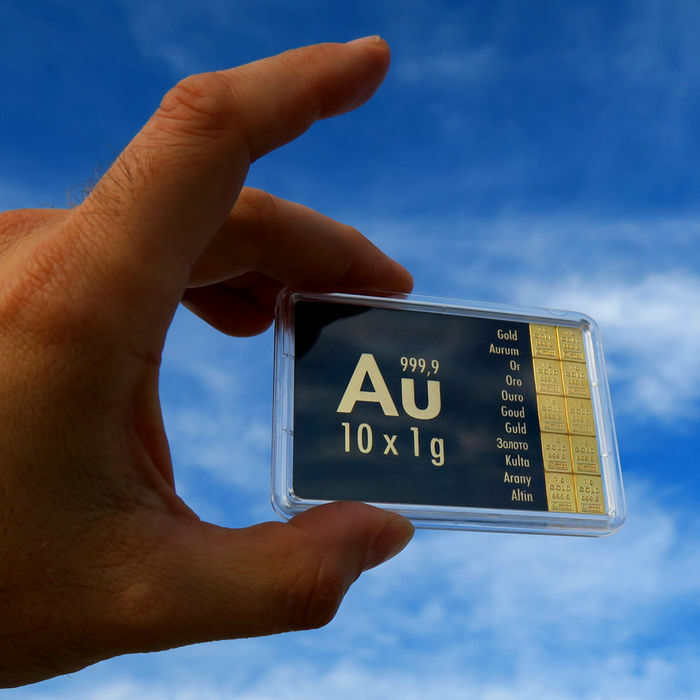 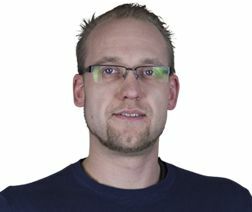 The advantage, compared to buying larger quantities of normal 1 gram silver bullion or coins, is the price and the more convenient storage.